Playerunknown’s Battlegrounds (PUBG) took the gaming world by storm in 2017. Since then it has lost some ground to other battle royale games like Fortnite. In an attempt to reinvigorate this initial steam, Brendan Greene’s PUBG franchise has a new trick up its sleeve — PUBG Mobile. Although PUBG clones have been around for a while now (some are now subject to litigation), the international version of PUBG Mobile hit Android devices well ahead of Fortnite Mobile, which is still only on iOS. 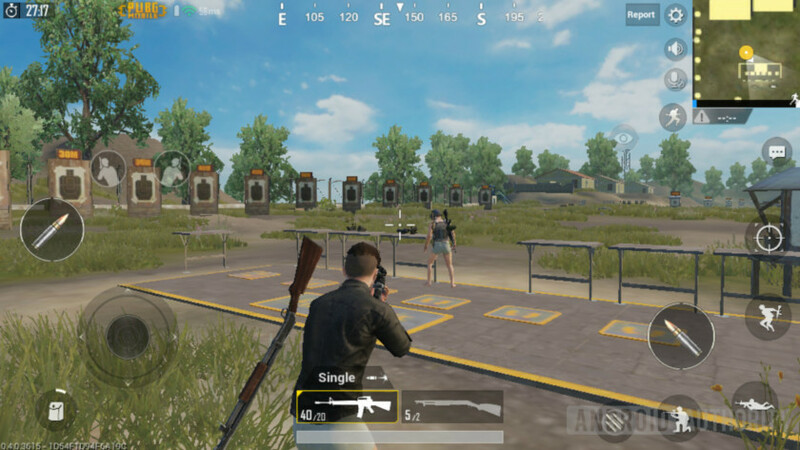 For those who have played the PUBG PC version, PUBG Mobile will feel familiar in many ways. Obvious design limitations mean the journey to your first chicken dinner might not follow the same path. Here are the ten biggest differences when it comes to PUBG PC vs PUBG mobile. 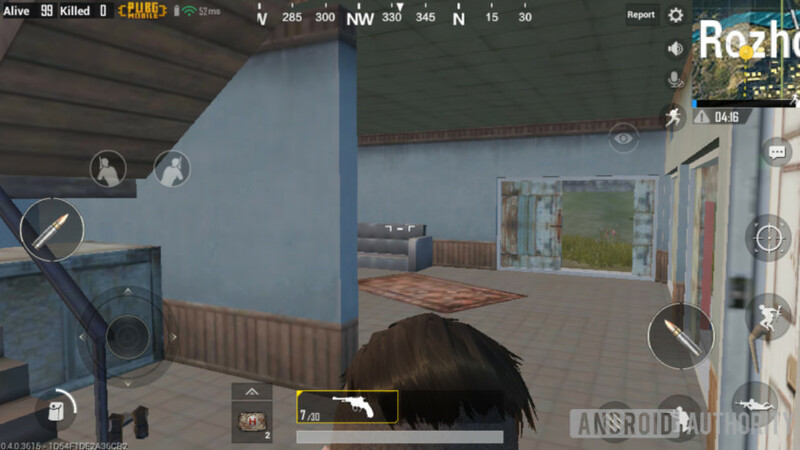 This is probably one of the biggest differences you’ll find in this PUBG PC vs PUBG mobile comparison. Learning from the success of Fortnite’s free-to-play (F2P) model, PUBG Mobile can be downloaded and played completely free of charge. It features what you would expect from any F2P title, like daily login rewards, experience, level ups, missions, free crates, and all that. Most missions entail killing a certain number of players or other simple in-game actions, and give both experience points and Activity points as a reward. As players gain Activity points and reach certain thresholds, they are rewarded with up to 5 free crates every day. Experience points level up player accounts, which unlocks new avatars. Like the PC version, Battle Points (BP) is used to open crates, starting at 700 BP and increasing for each additional crate opened each week. Some players might be turned off by the F2P model, but in this case purchases have no effect whatsoever on gameplay. Plus, the PC version now has paid crates with unique clothing options and weapon skins too, and it still costs 30 bucks. F2P doesn’t sound so bad now, does it? Although the original PUBG Russian island map Erangel has been faithfully adapted for the mobile version, none of the other maps are currently available. The first person perspective mode that’s completely taken over the competitive scene is also notably absent, although it still features Solo, Duo, and Squad mode gameplay. 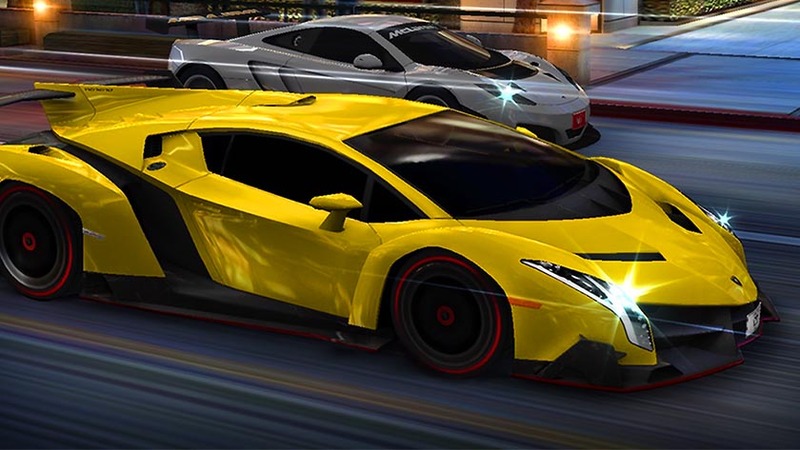 The most recent update added a new training mode to sharpen your aim and practice driving, as well as the mobile-only Arcade Mode with just 24 players on a smaller map. It’s a similar concept to the new Savage map on the PUBG PC version, and it does wonders to bring matches down to a more mobile-friendly duration. It’s unlocked at level 10, so you’ll have to play several games first. The Chinese version of PUBG Mobile just got access to the Central America-inspired Miramar map, so it should hit the international version soon. One of the first things PC PUBG veterans will notice as they parachute down to the battlefield for the thousandth time is that this version features range indicators for both squad members and markers. There is also a dotted line showing the exact path the plane will follow, making it even easier to make the perfect landing. In many ways, this is actually an improvement over the PUBG PC version. The indicators mean you don’t need to open up the map to see how far away squad members are or gauge distance between you and an objective. Vehicles that you’ve recently used are also marked on the mini map, and a small indicator at the top of the screen points you toward the safe zone. All of these features make it much easier to stay oriented on the battlefield. Of all the changes you’ll find in this PUBG vs PUBG mobile comparison, this is probably one of the most crucial. In the past, the FPS genre has really suffered from the lack of a mouse and keyboard on mobile devices. Virtual buttons and control pads are how most games attempt to solve this problem, and PUBG mobile continues this trend. All of the actions you can take on the PC version — strafing, crouching, jumping, vaulting, going prone, using meds, and more — have a button right on the heads up display. This can feel a bit overwhelming at first, but after a few minutes everything feels completely natural. Although I found the default most comfortable, there are three different pre-set control schemes to choose from, with additional options to customize the heads-up display (HUD) entirely. Sprinting and peeking are also in the game, but the latter needs to be enabled in the settings, first. It’s not mouse-and-keyboard smooth, but it’s definitely one of the best FPS experiences available on Android. While Erangel is largely left intact, some of the more difficult to navigate buildings have been simplified for the mobile port. This means no more maze buildings, redesigned open-plan interiors, and most importantly, windows without glass. It might seem like a small change, but open-air windows have a significant effect on gameplay. Shooting or vaulting through windows will no longer tip off all players in the vicinity, which gives an advantage to those who play more creatively. These changes might make the game a bit less beautiful, but they are critical to getting the game to run smoothly on budget devices. In fact, it looks and works better than the Xbox version in many ways — so well some PC players might wonder what PUBG would be like if developed by one of Tencent Games’ triple-A studios (which include Riot Games, Supercell, and to a lesser extent, Fortnite’s Epic Games). 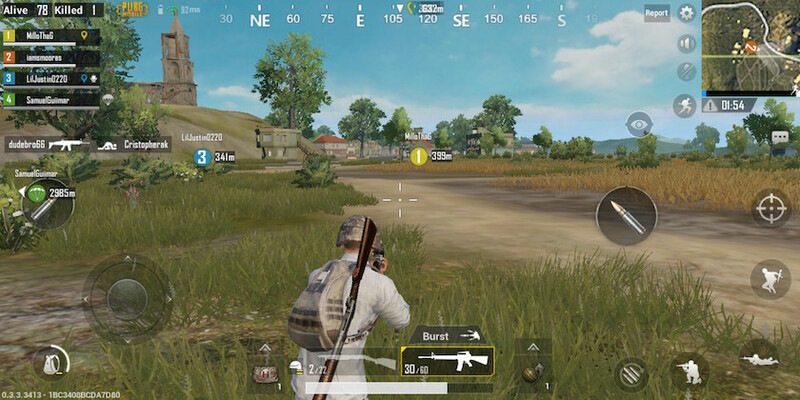 To make up for the fact that most players won’t be playing with high-end headphones (or muted in the back of the classroom), PUBG Mobile adds several indicators to help orient players in the heat of battle. In a world where fewer and fewer devices have headphone jacks, this feature is more than just a luxury. When shots ring out in the distance, a small icon on the minimap shows the general direction of the sound. Similarly, when you are shot by another player, a flashing damage indicator points toward the culprit. Footsteps (which are much louder) will also trigger a directional indicator on the minimap. Learning how to quickly react to this information could be the difference between a chicken dinner and cold leftover pizza. The game’s Auto Pick-Up feature greatly simplifies looting, picking up weapons if you have empty slots, or replacing pistols with something more powerful. Any attachments or ammo for the weapons you’re carrying are picked up as well. It even switches out lower-level armor, helmets, and backpacks for any higher-level ones you encounter. Auto Pick-Up is absolutely an improvement over the PC (and Xbox, for that matter) version. While you can still open up your inventory and customize your kit however you see fit, this feature lets players focus on what’s really fun about the game: gunning down opponents. Auto-loot can be turned off in the game’s settings for a more PC-like experience, but it works so well that there’s really no reason to. To make things even easier, there’s also a setting to automatically open doors when you walk into them. Accounting for weapon recoil is often what separates the pros from the scrubs in PUBG for PC. On mobile devices it’s virtually impossible to control such tiny micro-movements. To combat this, PUBG Mobile gives players a little help with reduced recoil and auto-aim. Auto-aim does not equal auto-win, and it can be disabled in the settings for an even greater challenge. Essentially it guides your reticle ever so slightly to help you hit the target. There is also an option to use your phone’s gyroscope to make tiny adjustments in your aim while shooting from the hip or aiming down a scope. Reduced recoil, however, has a much bigger impact on gameplay. Combined with auto-aim, it makes any automatic weapon much more powerful, so don’t pass up any opportunity to snag an AR. The game will also conveniently switch it to automatic when you pick it up. Sniper rifles in PUBG Mobile are powerful too, and you can still ADS to take advantage of that 8x scope you looted off your last victim. Plus, since it’s much more difficult to move and shoot at the same time, lots of players stand still in firefights. It’s like shooting fish in a barrel. 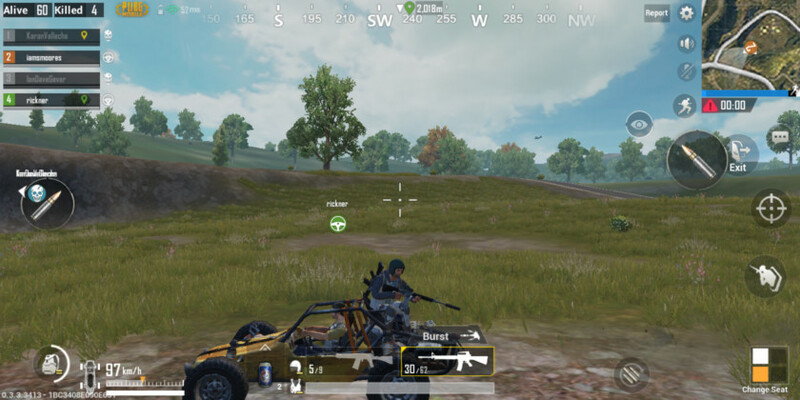 Vehicles also make an appearance in PUBG mobile, and are still the best way to cover long distances when the safe zone spawns halfway across the map. You still need to gas them up when their tank runs empty, but fortunately they are much easier to control. The “realistic vehicle physics” of the PC version take the backseat to usability in PUBG Mobile. There are three different control schemes to choose from, and it’s more difficult to lose control and start rolling until the car explodes. In fact, driving head-first into a tree doesn’t seem to do any damage to the player at all in most cases. Right after the game was released, countless PUBG veterans took to the web to brag about winning a chicken dinner in their very first game. As The Verge and others noted, most of the opponents in a player’s first few matches are bots. It’s easy to tell the difference between bots and real players. They often pop up out of nowhere, take a few shots at you from an open field, then flail around helplessly as you gun them down. It’s possible some are just truly terrible players, but either way it makes for a better first experience with the game. Developer and mobile gaming powerhouse Tencent hasn’t commented on the use of bots in the game, but it’s probably to ensure quick matchmaking and easy transitions for new players. Fortunately, you’ll see a greatly reduced number of bots (and win rates) at higher levels. 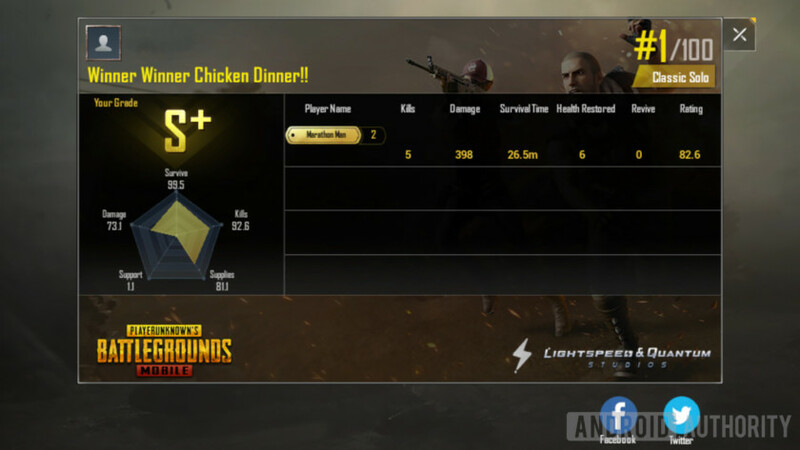 If you aren’t able to take home a chicken dinner against bots, check out this list of tips and tricks for PUBG Mobile. So that’s it for our PUBG vs PUBG mobile comparison. For both newbies and experienced players alike, PUBG Mobile is a great way to experience the best multiplayer game of 2017. Although there have been a few changes, it definitely still feels like PUBG. And that’s good news for mobile gaming. How to you think PUBG vs PUBG mobile compare? Does the mobile version live up to the standards set by the PC version? Let us know in the comments!